John Foster of Gasparilla Island spent his vacation building this Gloucester Light Dory for his lovely partner, Jane Shanley. 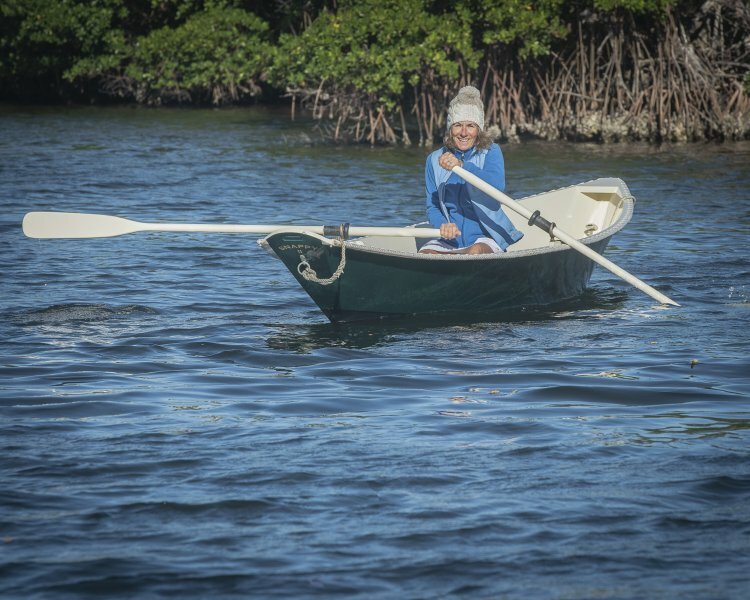 Jane spends her vacations rowing in the bayous of Boca Grande, Florida. Patricia Christakos (www.patriciachristakos.com) took this photograph.